Now available for public viewing are some beginning plans for a few gates I will begin building soon. 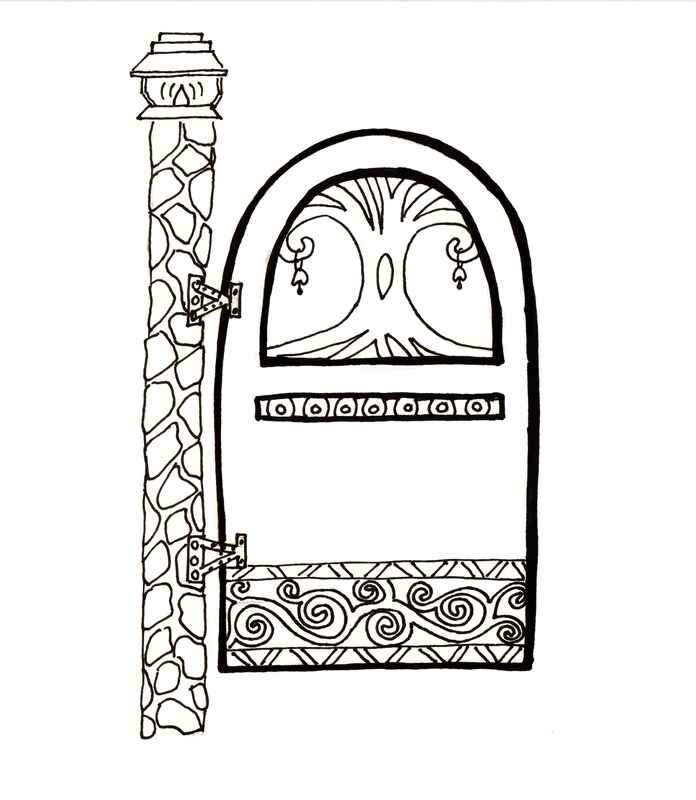 Below is the sketch for the garden gate, Tree of Abundance. Tree of Abundance Gate: approx. 60″ H x 30″W, stone mosaic solid post with solar light cap. Wood door, jigsaw cut tree design with gaps between branches and roots. Tree branch on each side holds a small bell that sounds each time gate is opened/closed. Mosaic embellishment under tree design or inserted glass into rectangular cutout , decorative bottom design partially carved and painted and/or cut out depending on interests. -All materials are per client needs and budget. This gate’s estimated minimum costs $1,800-2,500 (depending on jigsaw cut options and embellishments) Once materials are sought per client needs, colors etc. the base price may increase. All gates are custom built to meet a client’s site specific needs and interests. The sketches that you see can be created in any color palette and are traditionally built with wood doors and solid wood posts. I will be providing more gate plans in the near future so please visit back again.